Barr’s position regarding whether he talked over the Mueller Report findings with the WH does seem clear…he did. But Barr used a question from Rep. Robert Aderholt(R-Ala.) to signal that he wants to go further than Mueller or the IG to determine whether the counterintelligence probe was legit from the start. Note: Barr goes in front of the Senate appropriations subcommittee tomorrow. More to come on this. 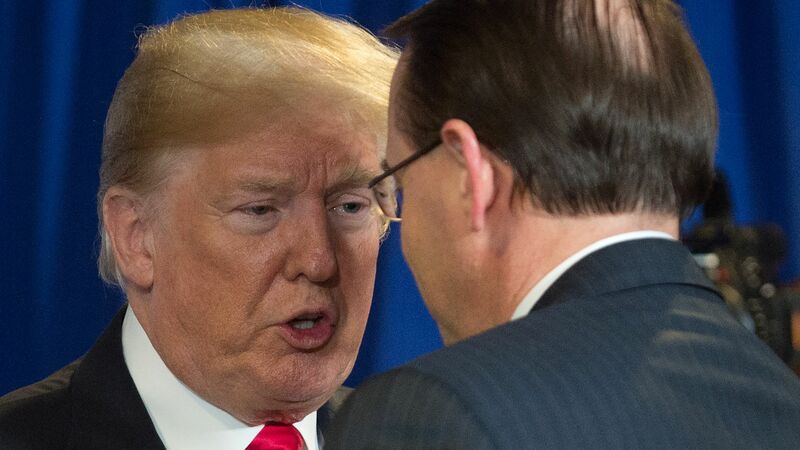 Attorney General Bill Barr said in a House Appropriations Committee on Tuesday that he will be in a position to release special counsel Robert Mueller’s report “within a week” and that it will be color-coded and contain explanatory notes for redactions. Attorney General William Barr testified before a House Appropriations subcommittee regarding the president’s 2020 budget request for the Justice Department. Attorney General Barr was also asked about the Mueller Report. "This was not a joking sort of time. This was pretty dark." Former FBI general counsel James Baker told the House Judiciary Committee last October that it’s his understanding that Deputy Attorney General Rod Rosenstein said there were 2 members of President Trump’s Cabinet who were willing to invoke the 25th Amendment to remove Trump from office.